We’d like to welcome the newest members of our association! The final results are in for PPAI’s 2014 Board of Directors election. PPAI welcomes Dale T. Denham, MAS+ , CIO of distributor Geiger, and Norm Hullinger, CEO of supplier alphabroder, to the Association’s board. In addition, Scott Hareid, president of multi-line representative agency Hareid Marketing, has been appointed as the RAC Delegate to the PPAI board. The new board members and RAC board delegate will begin their terms immediately following The PPAI Expo 2015. Hullinger and Denham will serve four-year terms, while Hareid’s term is for two years. Chocolate Inn / Taylor & Grant is proud to announce Shelley Bednarski as their new Southeast Regional Sales Manager. David Miller, President of Chocolate Inn/ Taylor & Grant voiced his excitement over adding Bednarski to the sales team “Shelley is the kind of person with the professionalism that we aspire to have be a member of our team at Chocolate Inn Taylor & Grant and we could not be happier”. Beacon® Promotions, Inc. is pleased to announce the addition of Sarah Furth to their marketing team. Sarah will work directly with distributors interested in showcasing Beacon’s products on their websites. 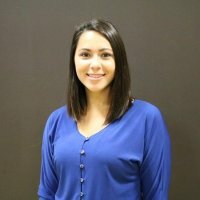 “Sarah will bring an enthusiastic and professional approach to helping distributors find unique products, best sellers, closeouts and great deals within the Beacon family of products”, says Sharon Menssen, Marketing Director at Beacon Promotions. What’s so wrong about a like? Brands use Facebook and other social media platforms for many different promotional marketing needs, including engaging in conversations with consumers and providing details about products, as well as conducting promotions. When brands incorporate threshold entry requirements into their social media promotions, such as first “liking” a page or utilizing a certain hashtag, they may be sending a message to consumers that triggers concerns from regulators and the social media platforms. Despite business increasingly moving online, businesses and consumers alike still depend on paper, especially in various packaging and shipping markets. The bad news for businesses, however, is that the prices of paper and packaging products are on an upward trend as input costs rise for upstream suppliers and consumer shopping trends drive demand for shipping materials and services. Don’t have many bucks to spend on your biz? No worries — there are plenty of marketing tactics you can make use of that won’t blow your budget. Let’s see how far you can stretch those dollars! Here are 20+ marketing ideas for small businesses working on a small budget. Cotton prices dropped to the lowest in almost five years as China moved to limit imports, signaling an expanding global glut that’s cutting costs for T-shirts and jeans. China, the world’s largest importer and grower, said it will restrict shipments for 2015. Futures tumbled 27 percent this year as rains boosted prospects for crops in the U.S., the top exporter. Lower prices can help improve profit margins for Hanesbrands Inc. and Carter’s Inc., the maker of children’s apparel that said lower cotton costs will show up in next year’s clothing line. You don’t have to wait for the holidays to send out business gifts. There are several different groups of people that might warrant gift giving. But if you’re wondering when to give business gifts and who to give them to, a general rule of thumb is to send gifts to the people who help make your company great. In general, this includes clients, employees, and certain service providers. Read on for some tips about when to give business gifts and who you should send them. You want to stay in touch with your customers. The reason is simple: You want to turn transactions into ongoing relationships. But that's not easy, especially when all you can think to do is send a "Thinking of you — hope you're doing well!" email that sounds like you're just fishing for business. Rick Greene, MAS, is the regional vice president at HALO Branded Solutions. Greene recently was interviewed by Print+ Promo magazine for the Executive Perspectives columns, and he was asked about annual sales goals with his sales force. Print+Promo probably wasn't expecting the answer that Greene gave, though. When your company spends the money, time and effort to display a booth at a trade show, it is vital to make the best of it. Careful planning and research can go a long way towards ensuring a successful showing at your next trade show. This article outlines ways to attract visitors to your booth, detail ways to plan out a successful trade show exhibition, and explore some of the best ideas for trade show giveaways. Designers and corporate lawyers aren't exactly known for seeing eye to eye, especially when it comes to trademark symbols. What a designer might think of as an unnecessary besmirchment of a beautiful logo, a trademark attorney might consider the most indispensable element. In the case of the Levi's logo, though, the designers at Turner Duckworth decided to take the necessary evil of a trademark symbol and totally own it, making it an indispensable element of the Levi's logo. Thanks to hundreds of tools that now exist online, it’s easier than ever to create original images and visuals to share on your website and social sites like Facebook and Twitter. According to Wishpond, photo posts on Facebook generated 104 percent more comments on an average post than those without. In addition, because 83 percent of learning is visual (according to j6 design), your readers will absorb more information from content with images than from those without.